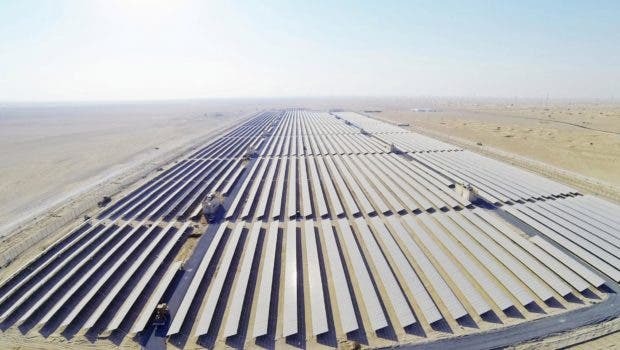 Abu Dhabi now boasts the world’s largest storage battery — a 108 MW/648 MWh behemoth that is five times larger than the Hornsdale battery installed in Australia by Tesla a year ago. There is one other important difference between the battery in Australia and the one in Abu Dhabi. The Tesla unit used lithium-ion battery cells. The one in Abu Dhabi uses sodium sulfur battery cells. Sodium sulfur technology was first explored by Ford as a possible source for electric trucks in the 1960s. But the sodium and the sulfur have to be heated to 300º Celsius to function properly, an issue for wheeled vehicles. Ford sold the technology to Japan’s NGK, which has continued to develop the technology in conjunction with Tokyo Electric Power ever since, according to Wikipedia. Compared to lithium-ion batteries, sodium sulfur batteries typically have a much longer useful life. 15 years or 4500 cycles is typical, according to Science Direct. Their efficiency is around 85% and they have a response time of 1 millisecond. Other advantages are that they use no lithium or cobalt, two elements that are in relatively short supply. Instead they use sodium and sulfur, both of which are abundant in nature and inexpensive. However, liquid sodium is highly reactive and can become explosive in the presence of water. Great care must be taken to insulate the inner components of the batteries from the outside environment. Corrosion at such high temperatures requires robust cell structures. While the materials are cheap, the supporting structure for the battery cells increases manufacturing costs. The entire cell is enclosed by a steel casing that is protected, usually by chromium and molybdenum, from corrosion on the inside. 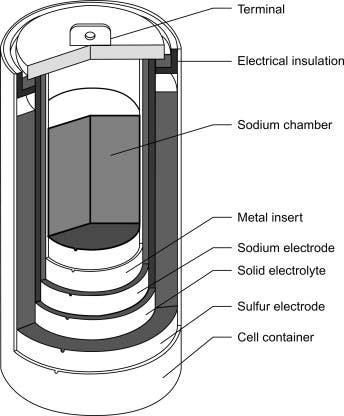 This outside container serves as the positive electrode, while the liquid sodium serves as the negative electrode. The container is sealed at the top with an airtight aluminum oxide lid. Quartz reports the battery for Abu Dhabi is actually 10 separate batteries in different locations that are connected together and controlled as one, making this in essence a virtual battery. The actual batteries are manufactured by NGK. Abu Dhabi is making major investments in renewable energy. It plans to spend $160 billion by 2030 on renewables and has set a goal of obtaining 60% of its electricity from carbon-free sources by 2050 — one of the more ambitious targets in the Middle East. ”In 50 years, when we might have the last barrel of oil… I can tell you we will celebrate that moment,” Sheikh Mohammed bin Zayed, the crown prince of Abu Dhabi, said a few years ago. Mark Jacobson, one of the world’s leading renewable energy authorities and a professor at Stanford who has proposed a road map for getting to zero emissions power worldwide, was quick to recognize the significance of the fact that Abu Dhabi had selected sodium sulfur technology for the world’s largest storage battery, tweeting the news to his followers on January 30. He told CleanTechnica in an e-mail that sulfur sodium batteries have high energy densities, high charge and discharge efficiencies, and a long cycle life, as outlined by Wikipedia. Now that Abu Dhabi has taken the lead on sodium sulfur batteries, other countries may take a fresh look at this technology, especially if the longer projected service life leads to lower total costs for energy storage. Those lower costs are what will drive a stake through the heart of convention methods of generating electricity and accelerate the transition to zero emissions energy around the world.